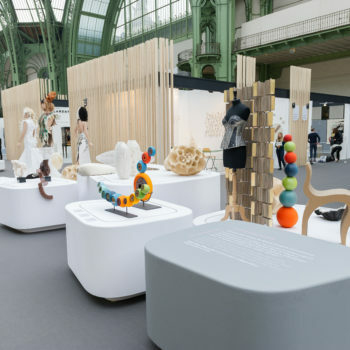 A 160 m2 space at the entrance of the Grand Palais and the works of 23 of Luxembourg’s finest craftsmen: the richness and energy that characterise local contemporary creation will be the main attraction of the 4th international biennial “Révélations“. This event is considered to be one of the main international events for the arts and crafts sector. About 40,000 visitors are expected during the 4 days of the fair. Glass artists, ceramists, sculptors, dressmakers… the diversity of know-how found in the Grand Duchy will be widely covered. This is a great recognition to the work carried out by the non-profit organisation De Mains de Maîtres Luxembourg, created in 2017 at the initiative of Princess Stephanie, and which aims to promoteLuxembourgish craftsmanship . “It is one of the most prestigious international events in this field,” says Valentine de Callataÿ, the head of development at the Luxembourg non-profit organisation. It was she, with the curator Jean-Marc Dimanche, who supported the Grand Duchy’s candidature to the organisers of the fair. Because the choice of the guest country is the result of a long process. “Luxembourg had already exhibited nine of its Creative artists at the 2017 edition and the feedback was very good,” continues Valentine de Callataÿ. After the announcement of the organisers’ choice, Jean-Marc Dimanche took care of the selection of the craftsmen. A total of 23 of them have been selected, and will exhibit their works in the space reserved for Luxembourg. A very precise scenography has been created to highlight everyone’s work. This one was unveiled this Monday at a press conference at the Chamber of Trades. “Révélations is a great opportunity to promote the quality, as well as the innovative spirit of Luxembourg craftsmen abroad, while appreciating the alliance between tradition and technological innovation,” notes Marc Lis, manager of the Luxinnovation Creative Industries Cluster. 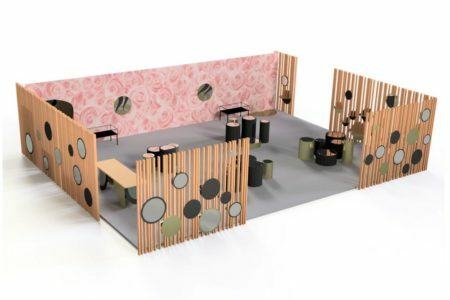 And to recall that five of the 23 selected craftsmen are members of the cluster, while the scenography of the Luxembourg stand has been entrusted to Gilles Gardula, who is also part of it. “It is a logical follow-up to the collaboration we started with the Association De Mains de Maîtres and the Chambre des Métiers at the end of 2018,” adds Marc Lis. Straddling between art and crafts, fine crafts reflect a particular know-how of the craft of a region or country. The multitude of techniques used by Luxembourg craftsmen reflects the many materials found in the Grand Duchy, such as wood, ceramics or glass.